This month, Room 13 has been learning about the rules of the classroom. We are beginning to explore different activities at centre time, such as puzzles, play-doh, counting and printing. 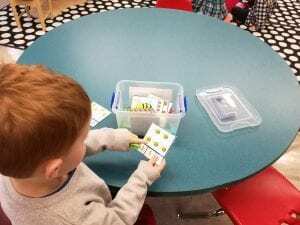 We have also begun to learn about letters and their sounds. So far we have learned the letters B and M. Our favourite thing to do is have Show and Tell on Fridays!